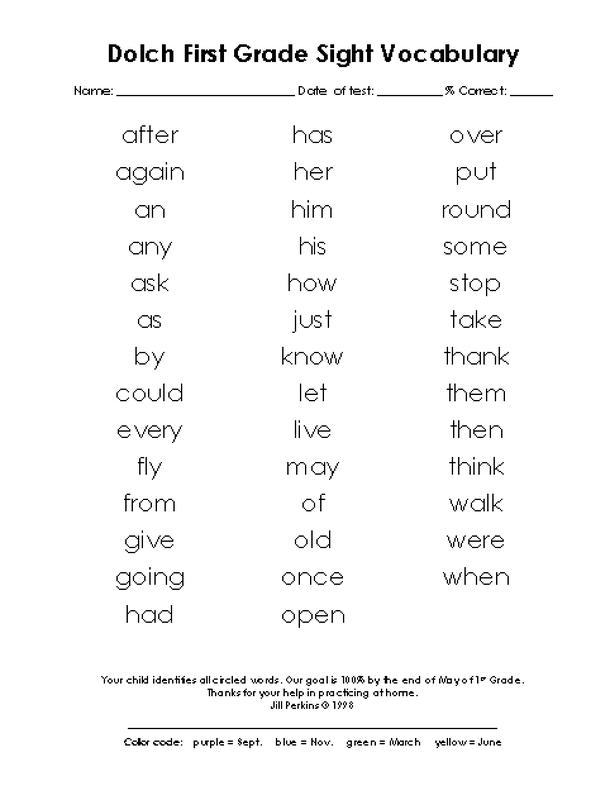 There are many ways that your child learns. 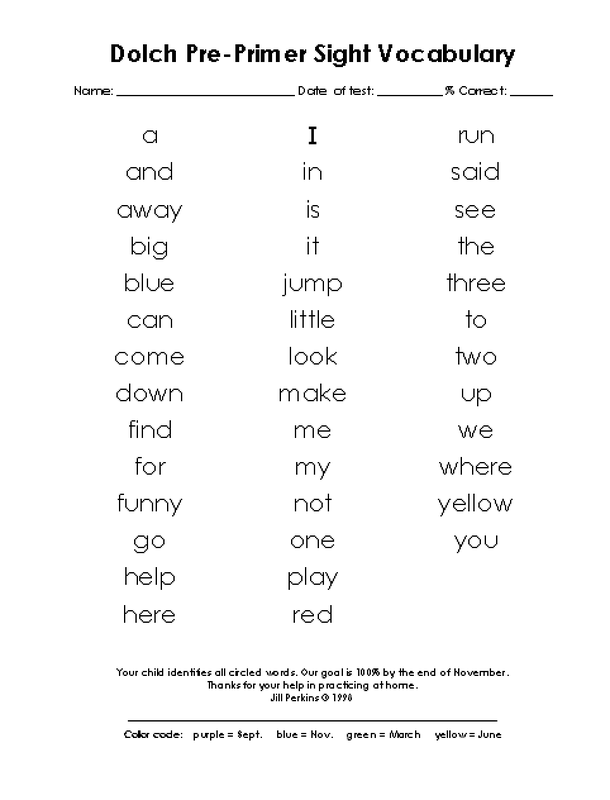 When learning to read, one very important skill students need to learn and master are the Dolch sight words. 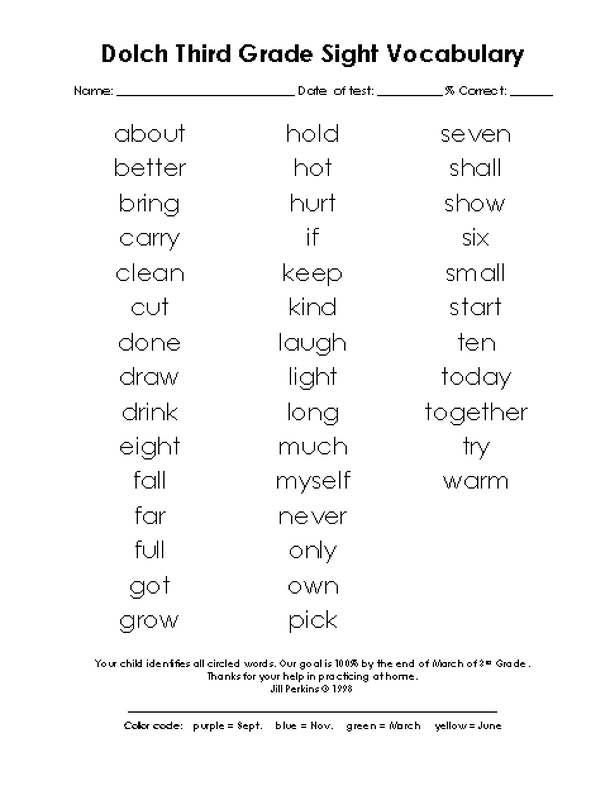 The Dolch sight word list is comprised of 220 frequently used words that don’t follow typical word conventions. 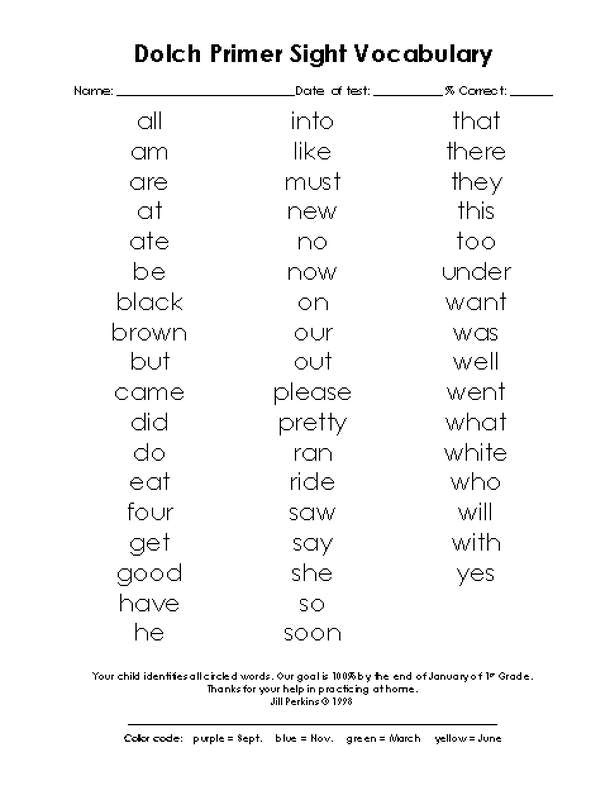 These words can be hard for students to sound out and these words are frequently found in texts. 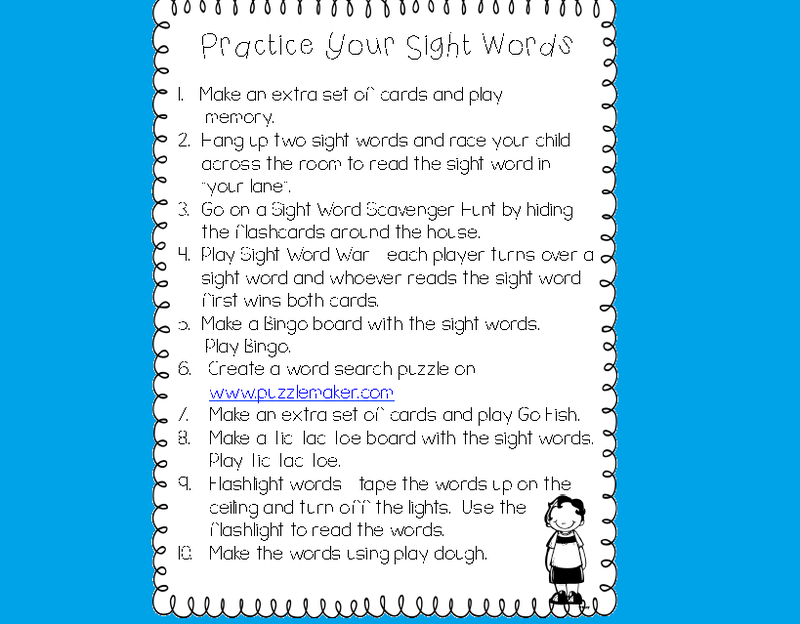 I have posted some ideas (thanks to tinyteacher blog) on how to practice sight words at home. 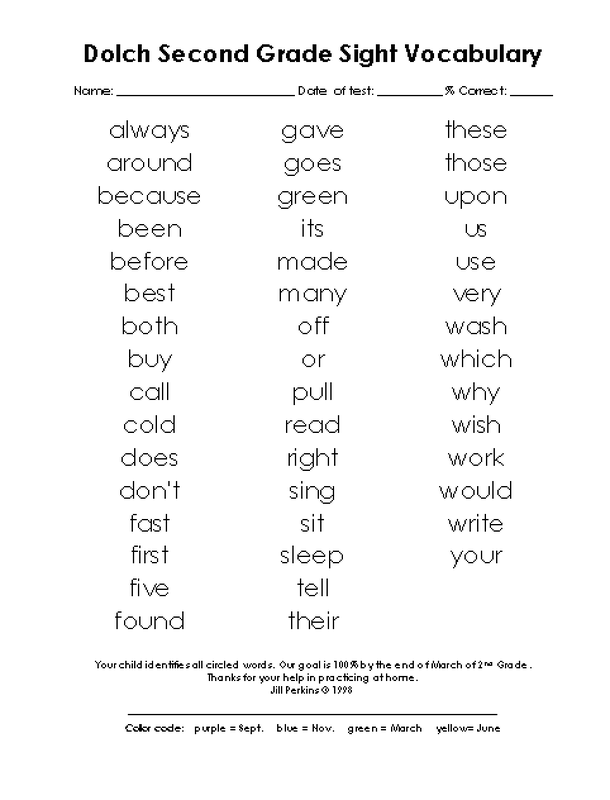 I have provided a copy of all the lists (check out www.mrsperkins.com for more information regarding sight words).The aim is for a student in grade one to know all of the words in the Pre-primer, Primer and grade one list by June.